”Wa~~~ Wata~~~”. 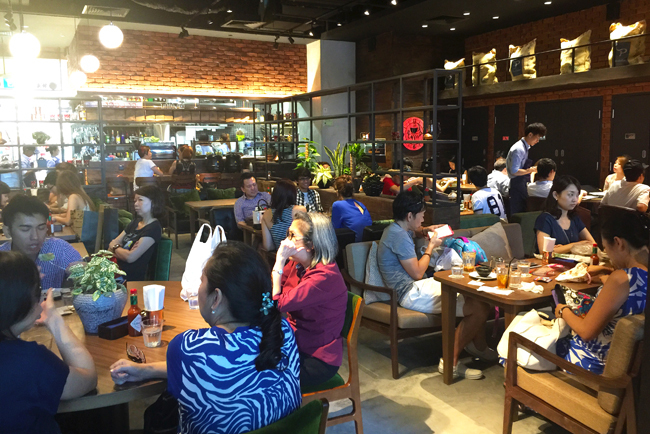 WA Café from Chinatown Point had opened their 2nd concept outlet at Orchard Isetan Scotts. WA Café was one of our favourite *secret* hide-outs, which we never even blogged about. 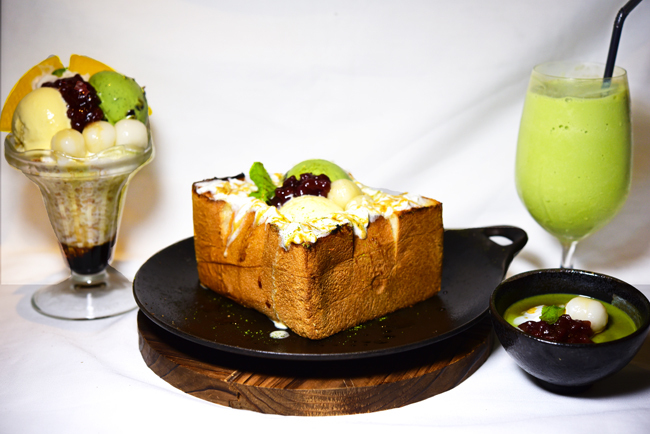 Watanabe Coffee has a similar menu to WA Café, offering a variety of Japanese- Western fusion dishes, with the Matcha and Ogura Shibuya Toast being the star dish. Watanabe (pronounced as Wa-Ta-Na-Beh, may sound crude to some) written as 渡邊珈琲店 is a common Japanese surname (think actor Ken Watanabe) and means ‘ferrymen’s guild’. Apart from the comfy seating area, Watanabe Coffee felt like a huge warehouse with bricked walls, cemented floor and gunny sacks everywhere. Dining here was a different experience from their first outlet. 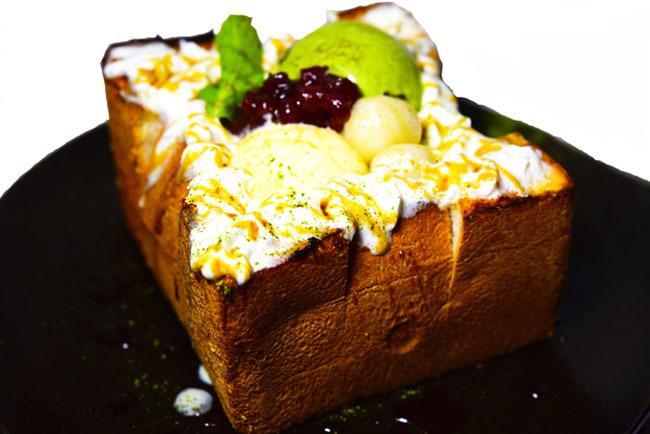 We were excited about their selection of matcha (finely grounded green tea leaves) desserts and drinks: Matcha and Ogura Shibuya Toast ($16.80), Japanese Matcha Parfait ($13.80), Matcha Pudding ($8.20), Matcha Shake ($9), Matcha Latte ($7.80) and Matcha Roll Cake ($8.20). Indeed, it’s a matcha lover’s paradise in here. 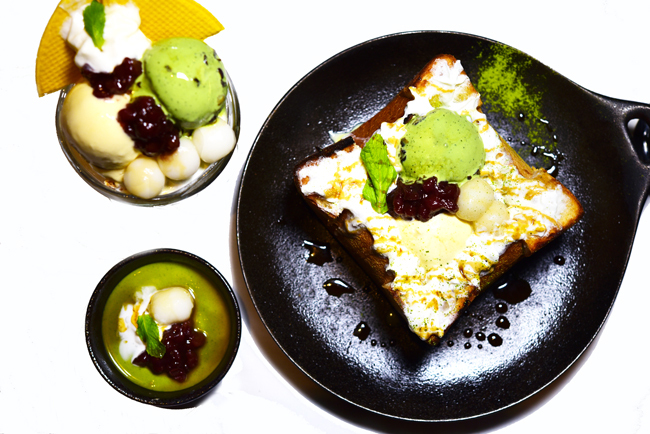 We were pleased with our first experience with Wa’s Matcha and Ogura Shibuya Toast ($16.80) which was thick yet fluffy, topped with smooth matcha and vanilla ice cream, mocha and ogura Japanese red bean. However, our 2nd experience at Watanabe’s didn’t quite live up to our initial expectation. The toast was burnt at the edges which were pretty tough to chew. Guess it is not easy to maintain consistency on a busy weekend. Our favourite was the Matcha Pudding ($8.20) – smoothly soft, distinct matcha, and yet not overpowering, without any lingering bitterness. 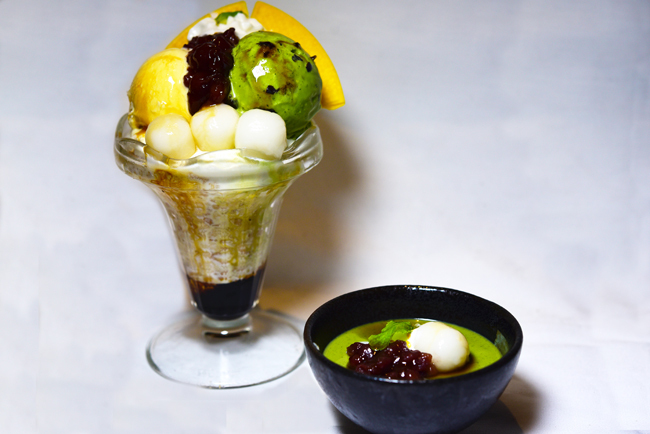 The Japanese Matcha Parfait ($13.80) was another crowd pleaser. Topped with two scoops of vanilla ice cream and matcha ice cream, the oats beneath gave it an extra crunch. Good for sharing because it is an entire cup of carbs and sugar. Apart from serving matcha desserts, Watanabe Coffee also offered a selection of omu rice (omelette rice), baked rice, pastas. 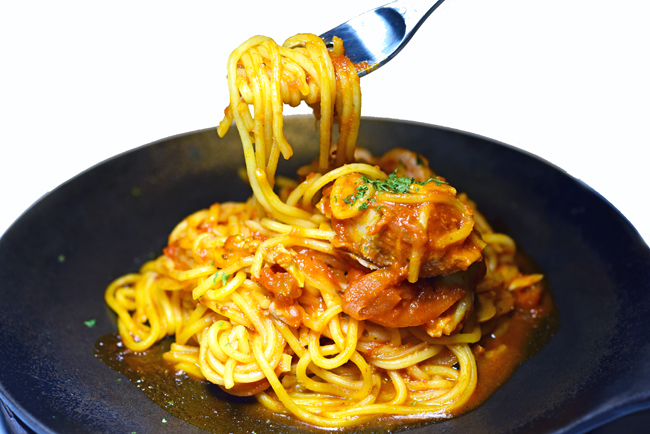 The Japanese Tomato Spaghetti with Seafood set ($19.80) topped with fresh prawns had chewy pasta, appetizing tangy tomato sauce, but we felt that the price could be on the steep side for its portion. 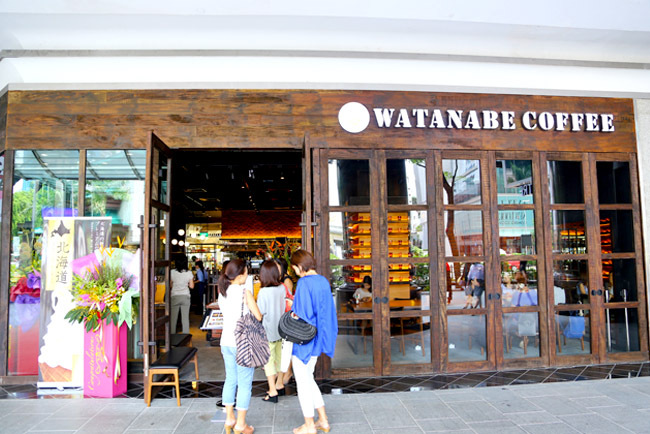 While we really liked WA Cafe, Watanabe Coffee despite having a similar menu, doesn’t seem as operationally ready and had some hiccups with the food. 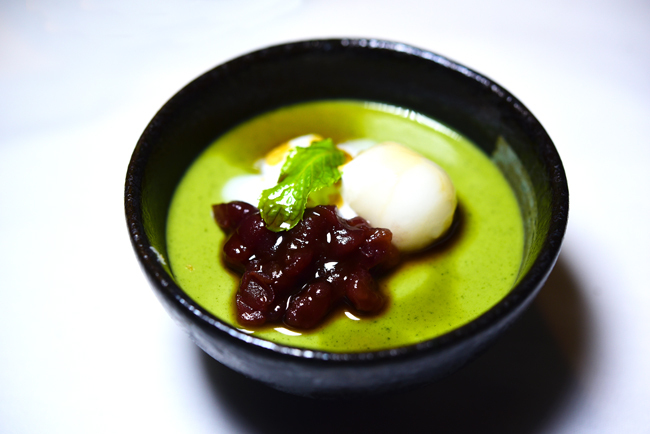 However, we are prepared to overlook that (for now) to come back more for their selection of Matcha desserts. Do you wanna some Watanabe Coffee?